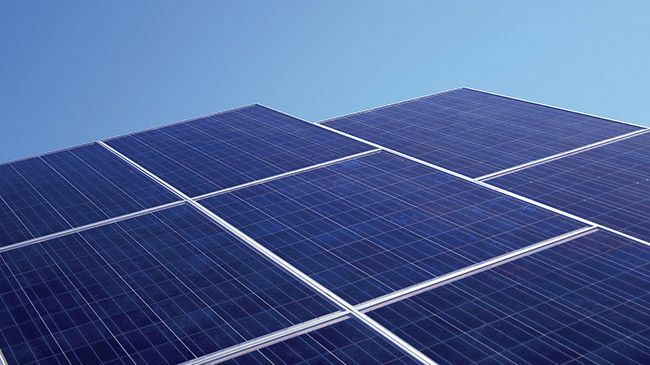 GREENVILLE, S.C. -- Duke Energy has been powering South Carolina for more than a century, and continues to empower the minds of its students and the workforce of the future by investing in innovative education programs and initiatives. Emphasizing the importance of workforce development, literacy and science, technology, engineering and math (STEM), Duke Energy recently awarded more than $660,000 in grants to 16 programs across the Palmetto State. "Our 'K to Career' grants go to a diverse group of organizations across our state that are dedicated to training the workforce of the future and giving our young people the skills they will need to lead our state in the years to come," said Kodwo Ghartey-Tagoe, South Carolina state president for Duke Energy. Francis Marion University: To support the expansion of the university's engineering program to include mechanical engineering. "Duke Energy continues to be one of our strongest industry partners, and we're delighted that they've chosen to support the development of our mechanical engineering program," said Francis Marion University President Fred Carter. "This type of donation enhances the opportunity for students throughout this region to receive an incomparable education in a dynamic field, at a reasonable cost." Northeastern Technical College: To help ramp up the college's electrical technician program to help meet the need for electrical technicians in Chesterfield, Marlboro and Dillon counties. Public Education Partners: To continue and expand an innovative program that provides a pathway into the teaching profession for people with bachelor's degrees in math and science. Roper Mountain Science Center: To expand STEM-based learning labs to students in Anderson, Pickens and Spartanburg counties. South Carolina Robotics Education Foundation: To help students develop STEM skills by expanding FIRST Tech Challenge robotics teams to Title 1 schools throughout Duke Energy's service territory. South Carolina School for the Deaf and Blind: To support the Really Cool for My School Book Club, a literacy initiative that helps to foster the love of reading for students by supplying large print and braille books to take home. 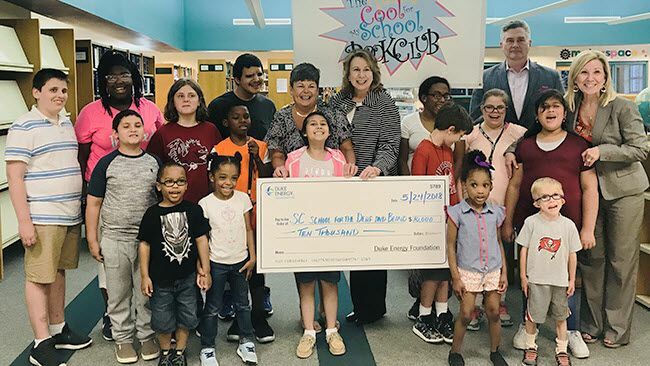 "The Duke Energy Foundation's support of our Really Cool for My School Book Club enables us to continue to provide a critical component of our literacy initiative here at the school," said Ann Akerman, the CEO for the S.C. School for the Deaf and the Blind Foundation. "Ensuring that children have accessible reading materials including large print and braille is imperative to a child's ability to learn to read. Together we are providing important resources to ensure a solid foundation for tomorrow's leaders." Spartanburg Community College: To address regional workforce development issues in Cherokee County for individuals who have barriers to employment. Tri-County Technical College: To support hands-on training in partnership with School District of Oconee County for students in engineering and mechatronics. United Way of Pickens County: To continue and expand the successful "Camp iRock" summer literacy program. Upcountry History Museum: To support hands-on literacy adventures that will take visitors on a journey around the world as they explore faraway places and cultures through beloved classic stories.